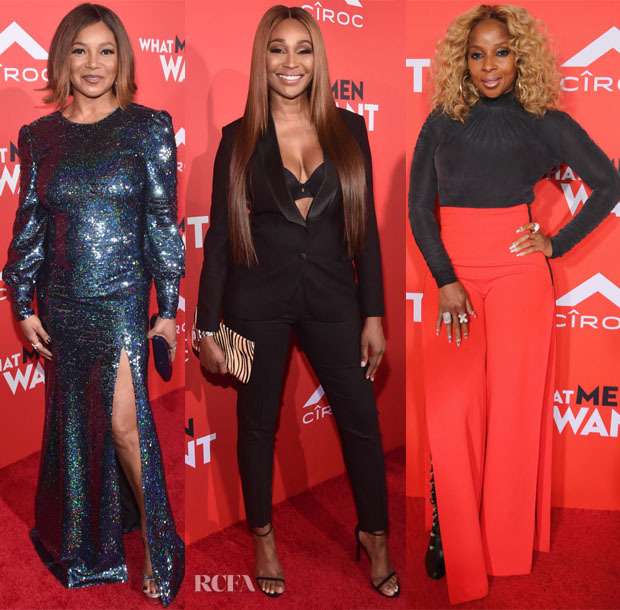 Taraji P. Henson stars in ‘What Men Want’ which premiered in LA on Monday (January 28) with a host of her friends supporting her on the red carpet. 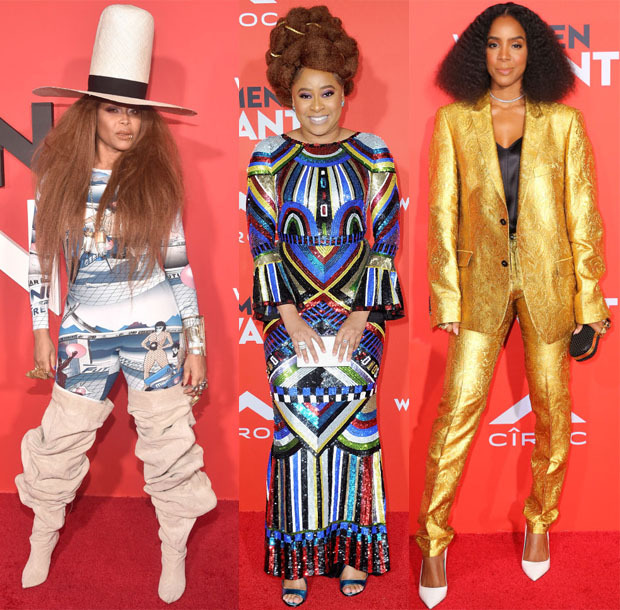 Erykah Badu: On anyone else this Marine Serre printed catsuit, top hat and Y/Project boots – which we’ve seen on Rihanna – would seem crazy, but by Erykah’s standards, I would say this is quite tame. I’m almost disappointed. Phoebe Robinson: I was instantly drawn to Phoebe Alice + Olivia ‘Jae’ embellished gown, but the pièce de résistance – aside from the wide open back – was her beautiful updo. Kelly Rowland: I’m surprised by how much I don’t dislike Kelly’s decision to wear her gold Maison Lords & Fools Paris suit with white pumps. Tamala Jones: The ‘Castle’ actress put her best foot forward in a dazzling A La Russe gown styled with a Tyler Ellis clutch and Charles David silver sandals. Cynthia Bailey: I’m more offended by the fit of the blazer than the revealing bra. Mary J. Blige: While I love the Vatanika red split leg trousers, I wanted more from the rest of the look.